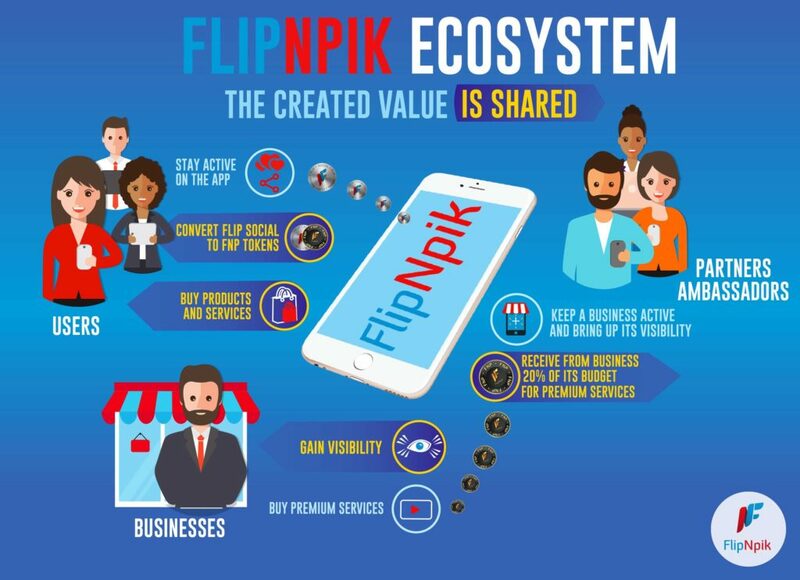 FLIPNPIK is a project promising to change how the current collaborative economies work by providing an ecosystem that allows for the growth of local businesses, unlike the traditional system that only favors large companies. The new project will allow the users to monetize their social media posts by supporting their favorite shops in their local area. Currencies accepted: DOGE, DASH, LTC, BTC, ETH, EUR, and USD. In an attempt to enhance customer loyalty and drive sales, there has been the development of new models of collaborative economies that center on the consumer. These models make the consumers the co-creators of value within the system, unlike the traditional socioeconomic models that view the consumer as a ‘B2B’ target. Many businesses in different sectors like BalbalCar, UberPOOL, AirBnB, Facebook, and ClickStay among others have already embraced these new models. However, these systems are centralized and their main goal is profitability and value creation for shareholders. Luckily, the emergence of Blockchain technology has made it possible to revolutionize the sector and allow the sharing of value creation between the consumers and businesses. 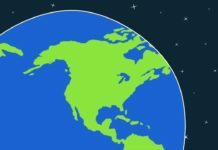 Globalization and centralization of businesses can be seen as products of the contest to scale and profitable economies. The race has led to a drastic reduction in the number of small local businesses. Fliptech has emerged with the promise of addressing this challenge and giving the local businesses a strong position and enabling them to control their control and identity on social media. 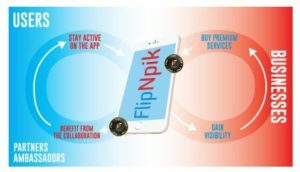 FlipNpik is a 360° collaborative model that favors the local economic growth by creating and allowing equitable sharing of value among all the players in a given ecosystem. Accordingly, the work of the value creators leads to the economic growth of local businesses. The will also benefit from the value created within the area. 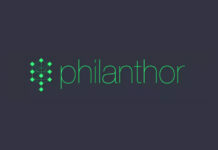 The emergence of social enterprise has seen the consumers get more concerned about other factors such as corporate values and principles apart from the price alone. This is the same economic spirit that has led to the introduction of FlipNpik. In the current social media world, inequality is evident as the platform supports the visibility of large businesses making it challenging for small businesses to rely on the medium to attract customers. The various visibility platforms that have tried to address the problem have failed. 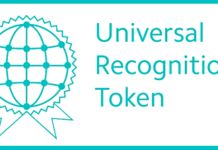 However, the emergence of Blockchain technology has provided an easy of addressing it. FlipNpik will use the technology in its attempt to become the first system dedicated to local businesses. FLIPNPIK is present in various social media networks such as Twitter, Facebook, and Telegram. Social media is a strong marketing tool and has helped the project to reach more people. Moreover, it has provided an easy way for the prospective users and investors to interact with the company and get more details about the project. 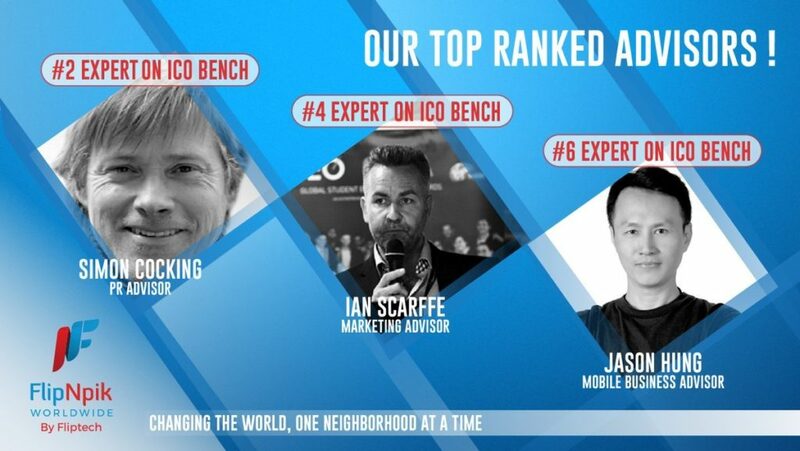 FLIPNPIK is expecting to attract many local businesses once launch. The project is promising the problem of visibility that the local businesses have been unable to overcome for a long time.